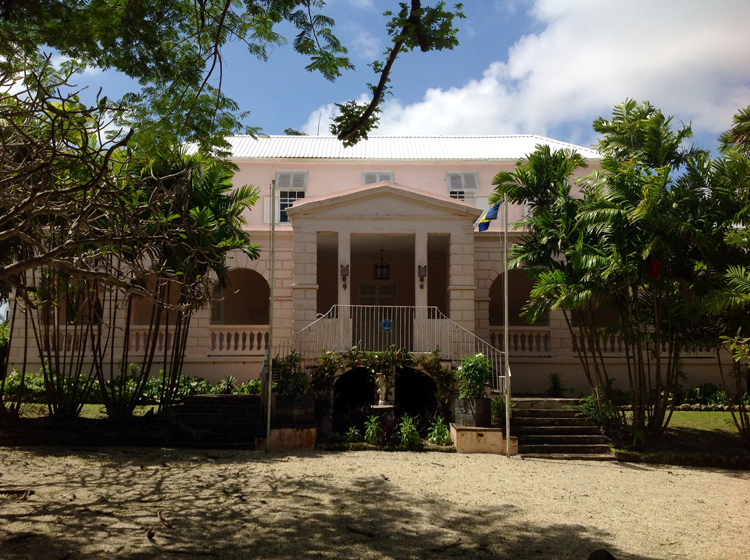 Clifton Hall Great House is one of Barbados’ oldest, largest and grandest great houses. Its fascinating history as a plantation begins in 1656 with Ferdinand Paleologus, a direct descendant of Constantine, the last Byzantine (Greek) Emperor who is buried at St. John’s church. Clifton Hall House appears in Robert Schomburgk’s 1848 classic, ‘The History of Barbados,’ and its large and stately residence has been chronicled in such publications as ‘Historic Houses of Barbados,’ Country Life Magazine, Maco Caribbean Living, and The Spectator. This is an opportunity to relax and appreciate this medieval structure, with its gracious Palladian double entrance staircase, arcaded gallery, and spacious reception rooms. Visit the ‘Poor relations room’ akin to the Jane Eyre element, concealed upstairs in the house. This treasure was recently rescued from ruination by owners who have stylishly transformed the house for modern living and yet retained its historical character. The owner, Massimo Franchi will conduct your private tour. The tour will end with complimentary refreshments and cake whilst you sit and relax in this historical home. The entrance fee includes refreshments and cake. Follow signs for St John's Church. Once you get to the church: As you drive past the church, the church should be on your right. That means you are on the right direction. You are half a kilometre from the house. Continue straight on and do not deviate by taking any roads right or left…stay on the main road. You will then come across a sharp 90 degree bend when you reach the bottom of the hill followed by a straight piece of road. Whilst on that straight piece of road you will see palm trees and a small 4 foot wall in front of you. The house is in there, so as you approach the wall you will find that the main road has a 90 degree turn to the right, you will just go straight instead of following the 90 degree right turn. You will see the house on the right. It is marshmallow pink in colour.